With a standard footprint of 4m wide by 6m long, the MyKit Single Garage fits on most space conscious properties. Featuring zinc cladding, a 2.4 metre wide roller door and a 25 year product warranty, the Single Garage is manufactured to the highest quality standards. 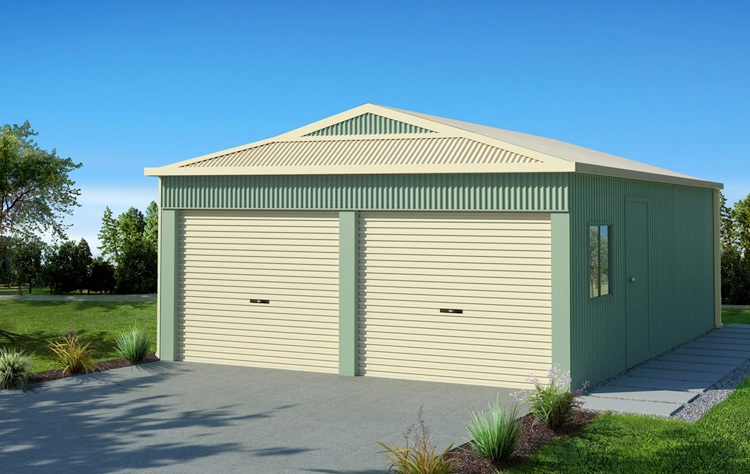 The Double Garage is the perfect two car garage or great for just one car garage with extra storage. With beautiful baked enamel wall finish, the Bold Double is not your ordinary double garage. A popular choice amongst our range of Garage kits for sale. 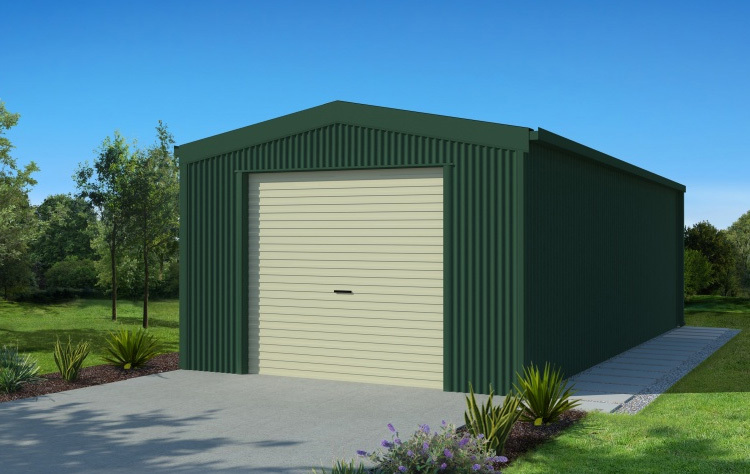 The Double Garage features two extra-large 2.7 metre wide roller doors and a personal side entry door for easy access.The Double Garage suits most needs, however if wish to add a window, or maybe prefer an alternative colour scheme, then talk to our specialist designers today. 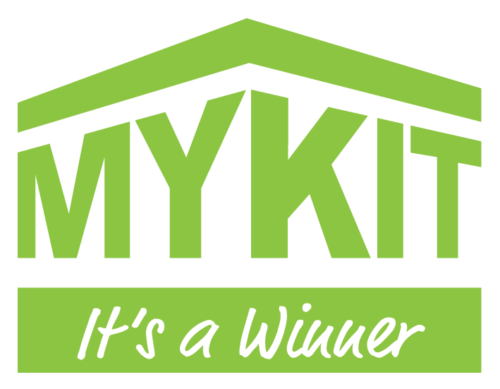 MyKit delivers Garage kits Australia-wide. Great for tight driveways or for those who desire a little more side room when driving into your Garage. 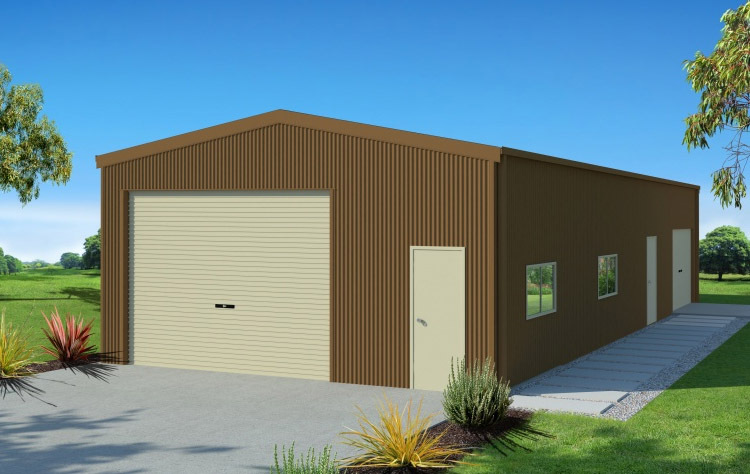 The Wide Entry Garage is a great double Garage or a huge single garage with loads of room to spare. 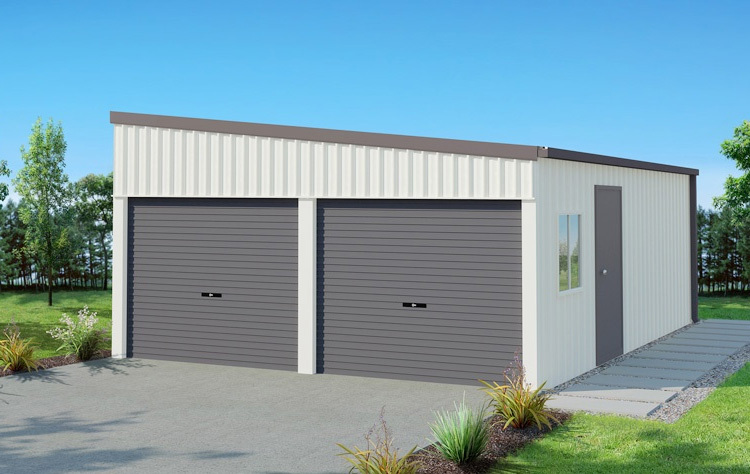 Slightly narrower and slightly longer than the standard double Garage, the Wide Entry Garage comes with a huge 4.8 metre roller door which opens at a click of a button from the comfort of your car. You have two cars and a jet ski and you need to protect them all? Then our 3 Car Garage kits are just for you. Practical side by side doors allow you to access any vehicle at any time. No need to move your valuables around. The Triple In is flexible enough to be expanded later, so as your collection grows, so your Triple In garage can grow too. Would you like to turn it into a quadruple now? 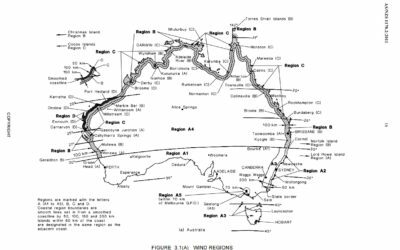 Or maybe a different width, length or height? Let the specialists at MyKit Garage help, our 3 Car Garage kits are easily convertible. Now here is something super practical, the Barbie Port. Is it a Garage or is it a Carport? Actually it’s both. The Barbie Port is place where you can park your car or a shaded area where you can work or play. The Barbie Port is one of our most practical Garages in our range. Now that you can see it, what size would best suit your needs? 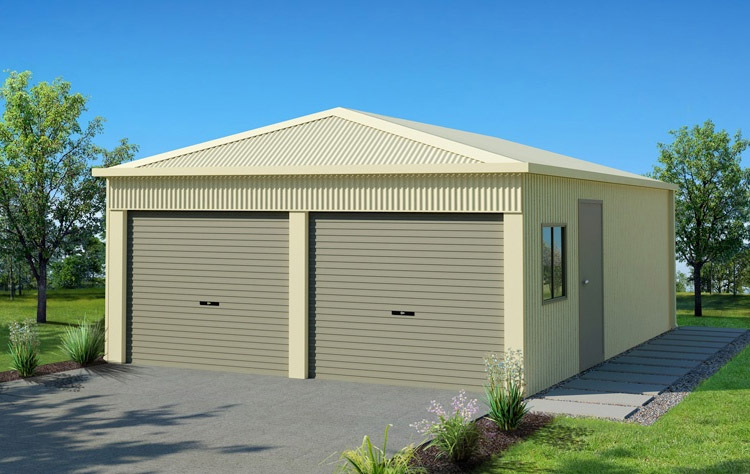 Would you like more Carports and less Garage? What about a different width or wall height? This is the Shed with the lot for the serious hobbyist, home business or for massive storage. 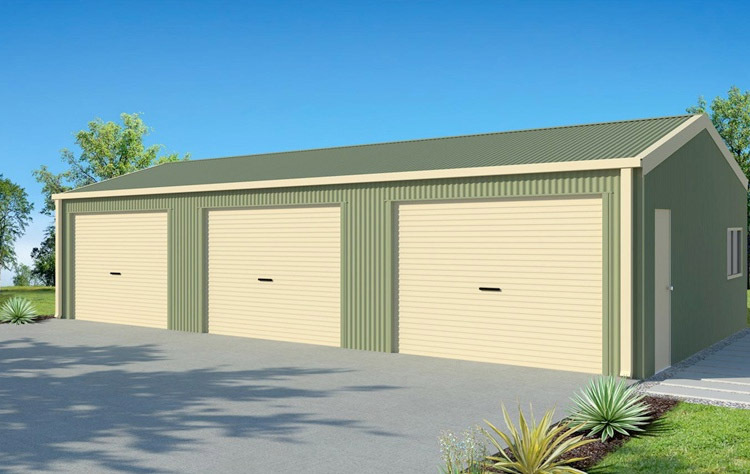 The Big Garage has been designed to give large front access with a 4200 wide roller door for trucks. Natural lighting with a skylight in every bay and vented for those hot days with no less than two whirlybirds and a couple of windows. The extra height means that you can stay cool inside whilst being able to store up to 3.6m height and cover most small truck or caravan entering under the 3.0m opening. We tailor-make to your exact specifications. Compact Dutch Gable Roof Garage. 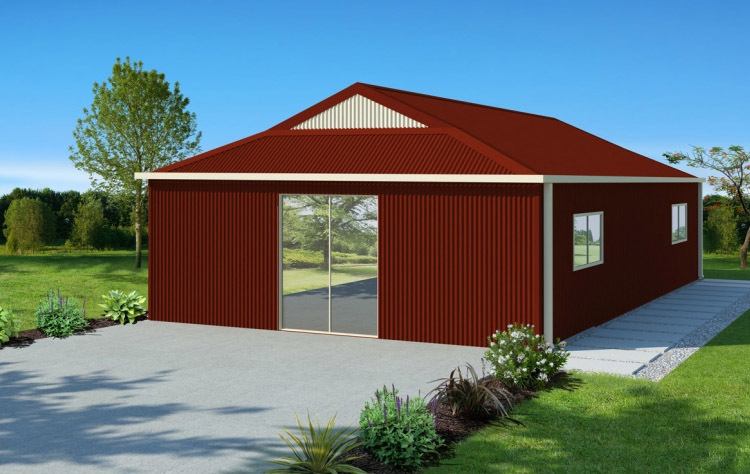 The Compact Dutch Gable Roof Garage is a visually stunning two car Garage, or the perfect one car Garage plus storage. 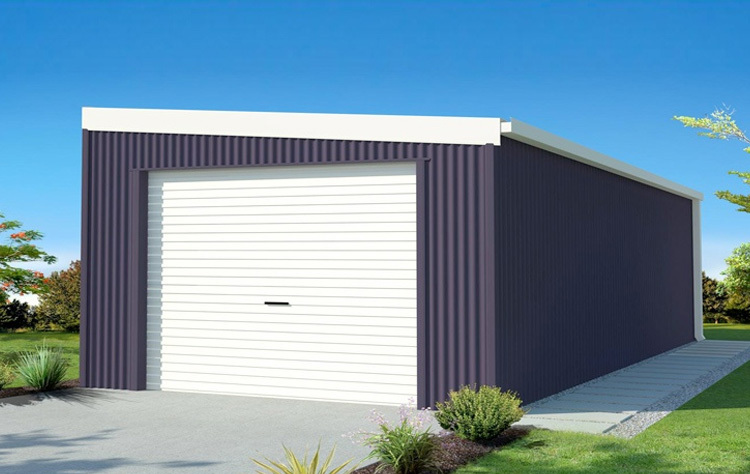 Boasting a huge 2.7 metre wide roller doors and a personal entry door for easy access, the Compact Dutch Gable Roof Garage suits most needs. The Heritage will make a great statement in any back yard. More like a heritage building than a garage. The Heritage would look great alongside any period home, fitting seamlessly into any surrounding. The Heritage can become the boys bar, the pool room, the artist’s studio or even the kid’s hideaway. The Heritage is perfect for a multitude of uses. Large glass sliding door and windows give extra light and spaciousness. The Heritage can even be insulated and lined for additional comfort. Maybe you would like to add a veranda to sit outside and enjoy the outdoors? 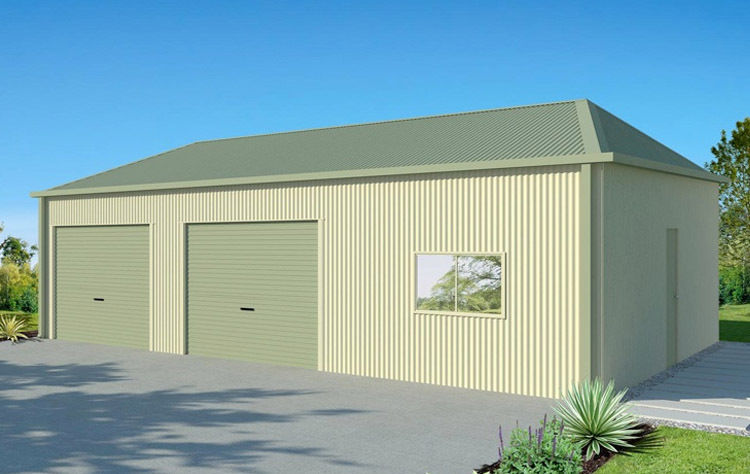 The One Car Skillion Roof Garage is just the right size for almost any vehicle. With its small footprint of only 3.5m wide and 6m long it will fit almost anywhere. The Flat Roof Garage offers a little more than the traditional two car Garage, with its extra depth and stylish design. The Flat Roof Garage features two spacious 2.7 metre wide rollers, to give you that extra room when storing your valuables. Easy side entry access is also available with a personal access door as standard. 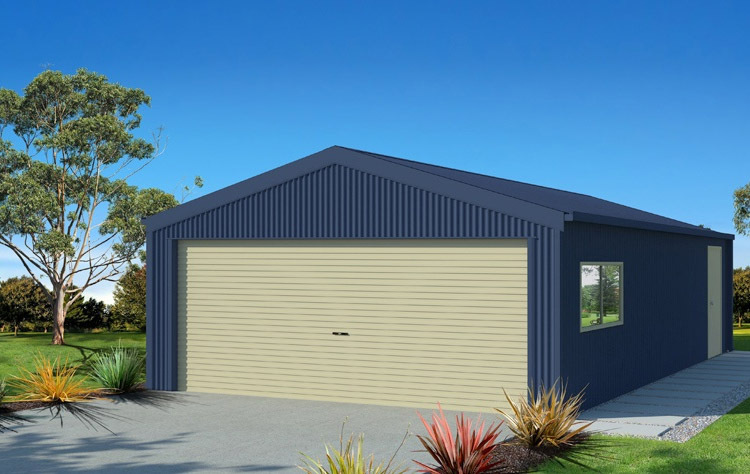 With a beautiful baked enamel wall finish and a sleek skillion roof, the Flat Roof Garage is not your ordinary double Garage. Need a Garage with extra room to fit your valuables? 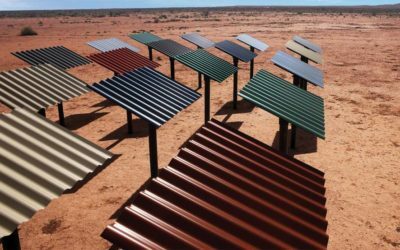 Look no further, the Large Skillion Roof Garage is just what you need. 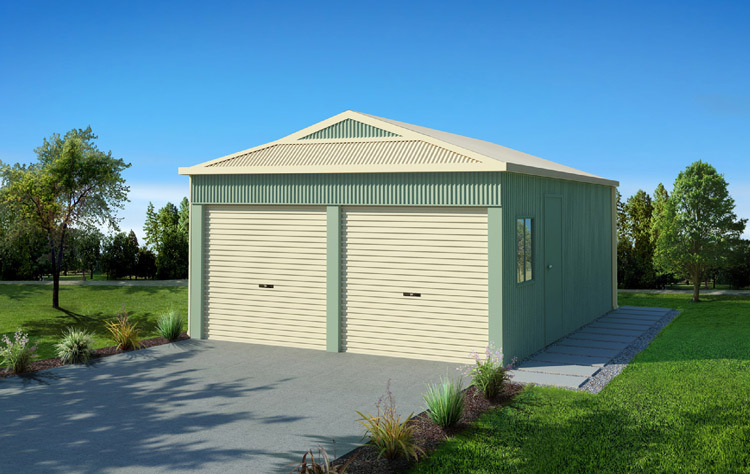 Boasting a designer look with a trendy skillion roof, the Large Skillion Roof Garage provides extra space for all your storage needs. The roller doors are placed at either end of the Garage, but can be easily moved if a different configuration is required. 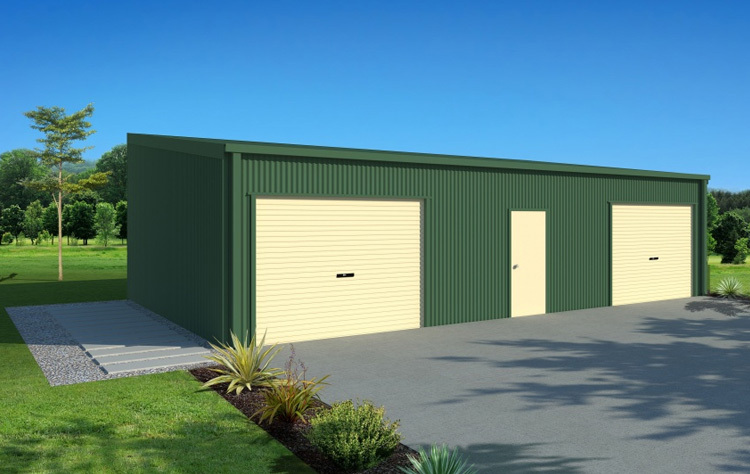 When the need arises, now or in the future, the Large Skillion Roof Garage can be simply extended by adding additional bays. 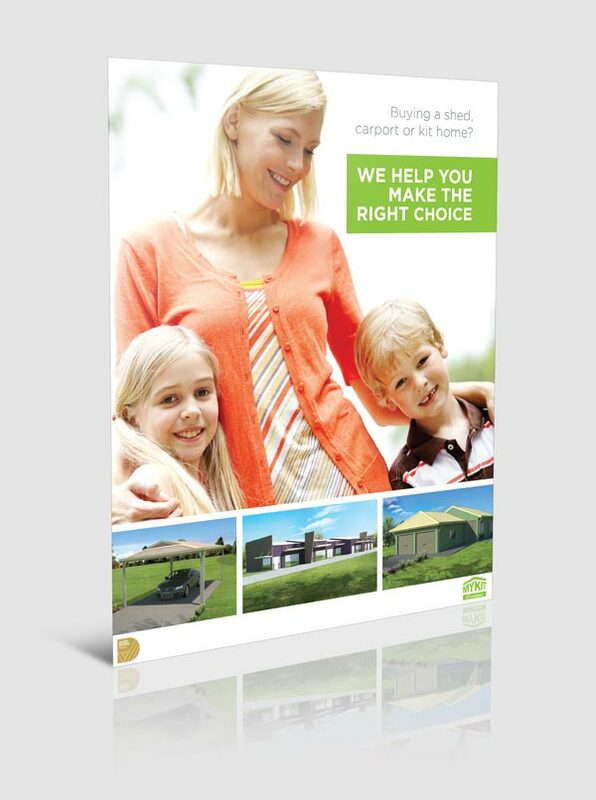 Or, if a different width or height is needed now, then simply talk to our specialist designers today. This cute little hip roof Garage is just the right size for two standard vehicles. 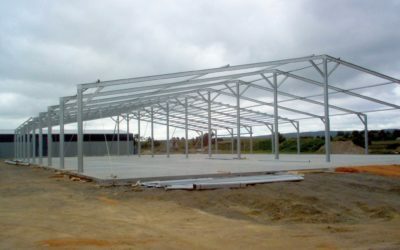 With its small footprint of only 6m wide x 6m long it will fit almost anywhere. 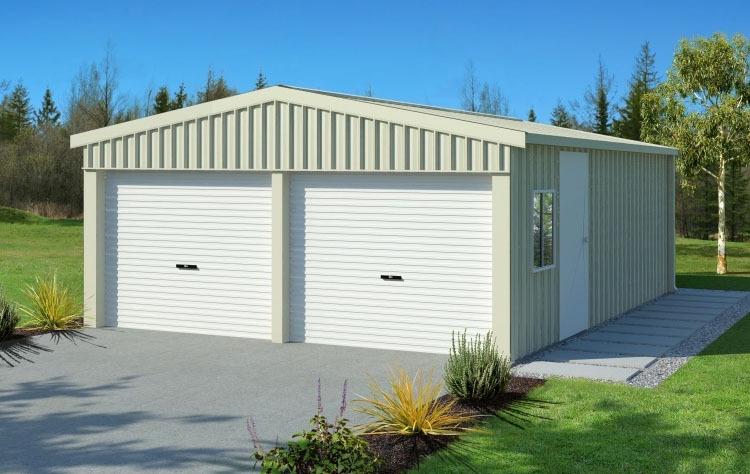 Manufactured to the highest standards, the Mini Hip Roof Garage perfection is in its simplicity, with all around zinc cladding and 2 x 2.4m wide roller doors. The Mini Hip Roof Garage compact size suits most needs, however if you prefer an alternative colour scheme or wish to add a window or personal access door, then talk to our specialist designers today. Boasting a 79 square meter footprint our Large Hip Roof Garage is as big as a house. 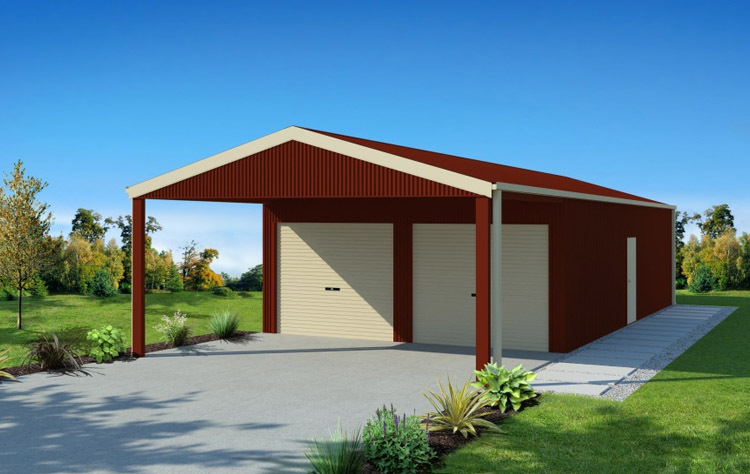 What would you like to use the Large Hip Roof Garage for? With a little imagination the possibilities are endless. Why not add insulation or even line the inside for additional comfort turning the The Large Hip Roof Garage instantly into your home away from home. Sounds like you? Please Explain the Portal Frame? Do You Need A Shed?